We are engaged in offering scientific and laboratory apparatus like thermometer, weighting and counting balance, thermo-hygrograph, digital techno meter, ultrasonic thickness indicator, autocollimator, digital vibration meter, ph meter, coating thickness meter. The Digital Orbital Shaker tracks timed runs, continuous usage and rpm settings for improved test procedure repeatability. The non-stop optical motor feedback provides instantaneous speed adjustment - turn the speed knob for gentle agitation or vigourous orbital motion. The slow start motion decreases the risk of spills. Low speeds provide gentle shaking for molecular biooogy and immunology applications. 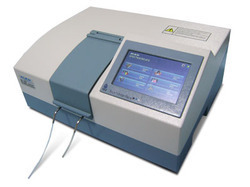 The Halo DB-20 is a high performance double beam Spectrophoto Meter suitable for many analytical applications where a higher level of accuracy is required. Genuine Double Beam Optics True double beam optics ensure concurrent measurement of the sample and reference for improved stability, accuracy and reproducibility. The light beam is split in two using a half mirror so that one beam passes through the sample whilst the other passes through the reference side. Both beams are then measured on individual detectors. The reference side beam also acts to stabilise photometric values in a similar manner to the ratio beam principle. Built-in and Diverse Range of Measurement ModesPhotometry Mode: Perform quantitative analyses in either absorbance or transmittance modes. 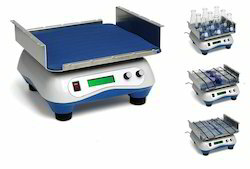 Select from single wavelength, up to 6 individual wavelengths, nucleic acid / protein A260/A280 ratios and set up calibration curves with up to 20 standards for concentration measurements. Time Scan: Perform kinetic measurements for time periods ranging from 1 minute to > 27 hours. Measurement intervals are factory preset and automatically selected when the scan time is set.Wavelength Scan:Perform a full spectral scan from 190 to 1100 nm. at any of 8 incremental and preset selectable selectable scan speeds starting from a high resolution 10 nm. / minute up to a swift 3600 nm. / minute. Data is displayed as either numerical values or a graphical spectrum. Furthermore, perform downstream processing of data, such as peak / valley search or smoothing, directly on board or with the optional Halo UV Detective software. Dual Lamp Advantage By virtue of the halogen tungsten and deuterium lamps typically found in higher end, analytical spectrophotometers, the Halo DB-20 wavelength range is an impressive 190 to 1100 nm. 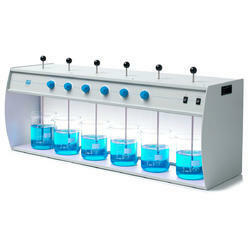 Furthermore, the dual lamp system results in higher accuracy then corresponding xenon lamps. Lamp switching is automatic and selectable from a wavelength range of 325 nm. to 370 nm. and both lamps are long life. User friendly operation and information rich LCD display The extra large 190 mm. x 138 mm., backlit LCD screen with adjustable brightness control displays a large array of data also in graphical format. The seamless and chemical resistant keypad is designed for easy and quick selection of navigation and function features whilst protecting against any laboratory spills. Other unique features include the ‘GO TO WL’ short cut key to allow direct input of a new wavelength into an existing measurement. Validation Functions To ensure optimum instrument performance, a self-diagnostic function incorporating a number of parameters and wavelength calibration are automatically initiated upon start-up. 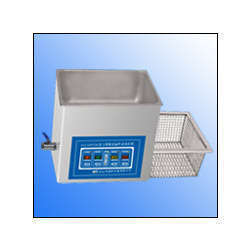 Temperature range: Water temperature, indoor temperature -90 degree;oil temperature, indoor temperature -180degree. 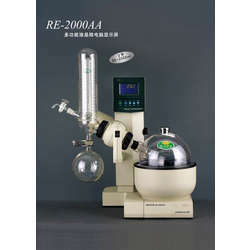 Condenser: vertical type, double return integrated spherical neck condenser,which is made of high temperature resistant quality glass through refined process, equipped with spherical neck receiving flask to accomplish the effect of quickly loading and unloading. We are counted among one of the established traders and suppliers of a wide assortment of Muffle Furnaces. 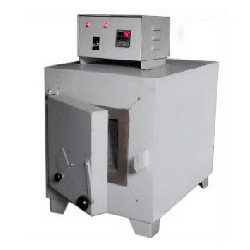 These Muffle Furnaces are widely used in various laboratories for the fusing glass, soldering, ceramics, and other allied processed. We source these equipments from the reliable vendors, who manufacture these from unmatched quality raw materials including mild steel. These are very easy to use and maintain and are available in all standard sizes. 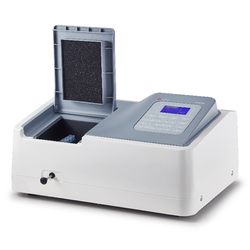 Smallest form factor double beam spectrophotometer with a high-resolution bandwidth. Comes with automatic wavelength calibration and programmable wavelength for lamp change over. Lamp selection enables conserving the life of the two lamps, deuterium and tungsten with auto focusing. Menu driven microprocessor based software makes the stand-alone unit user friendly. Stand alone unit offers an advanced technology with data processing features for scanning discrete wavelength, concentration determination by standards and e-factor method, time scan with minimum time interval of 1.0 sec, auto-zero facility, self check and self diagnostic modes. Software is 21 CFR Part 11 compliant with password method protection, Instrument logbook etc. cGLP compliance addressed.